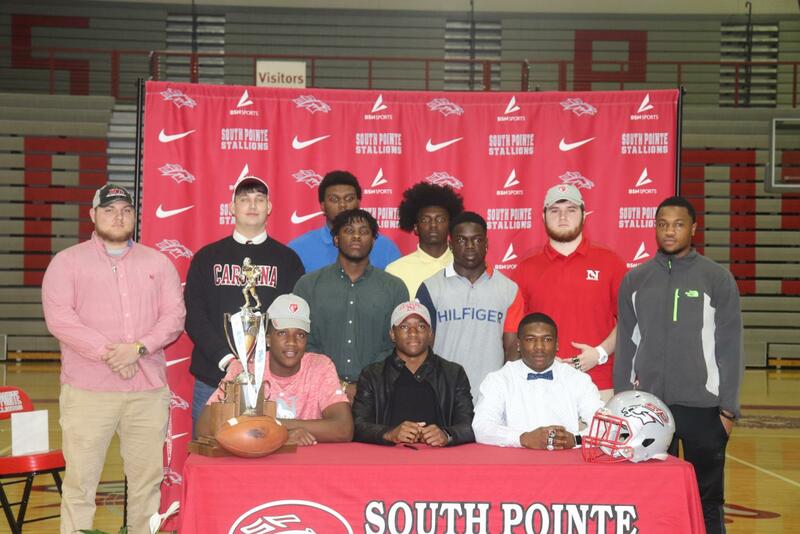 Nine Stallion football players signed to play collegiate sports today at South Pointe. 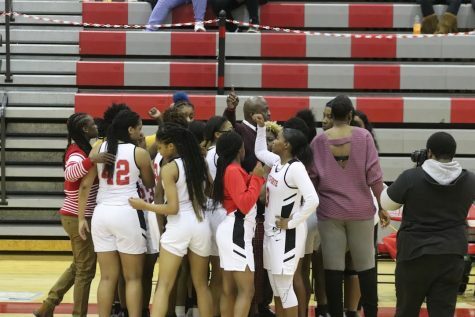 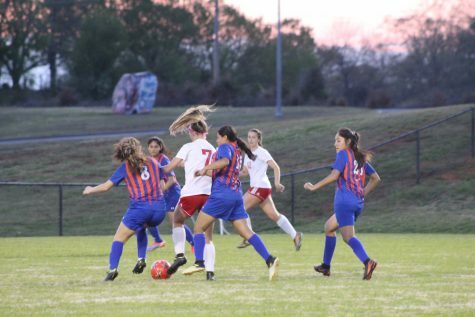 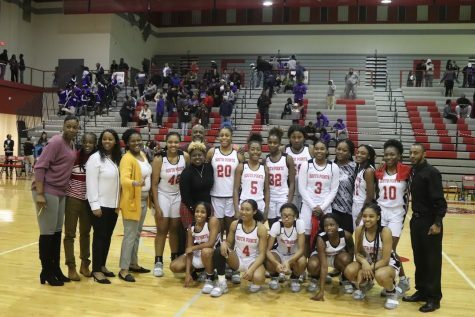 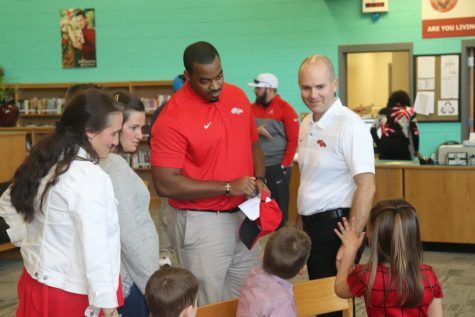 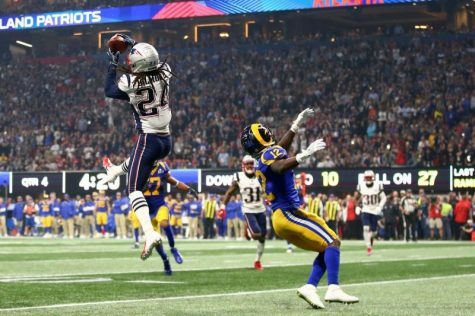 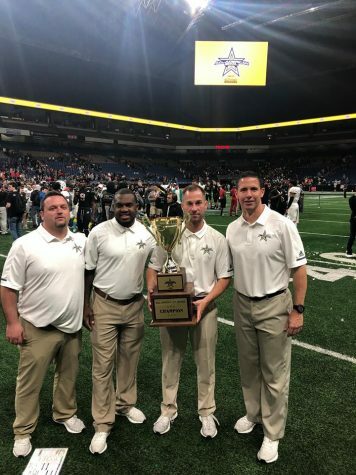 The players included Ty Good, Marice Whitlock, Adam Foxx, Gavin Bennett, Dwayne Davis, Dorian Jamison, Savion White, Jackson Chappell, and Dorian Manning. 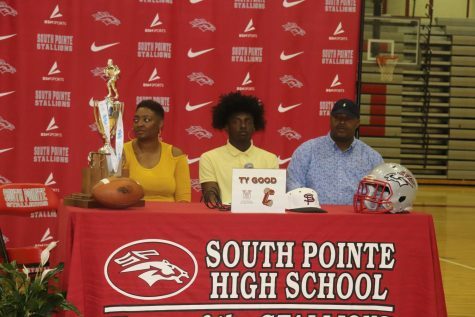 Ty Good, a Stallion football and baseball player, signs to College of Charleston to play baseball. 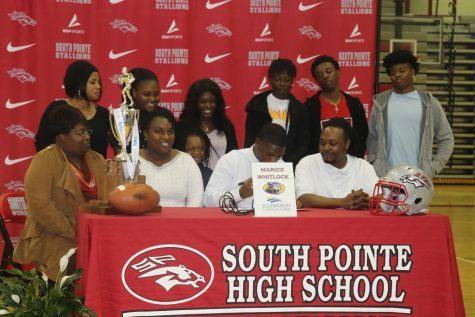 Marice Whitlock signs to Ellsworth Community College to play football for two years, and eventually move on to a four-year university. 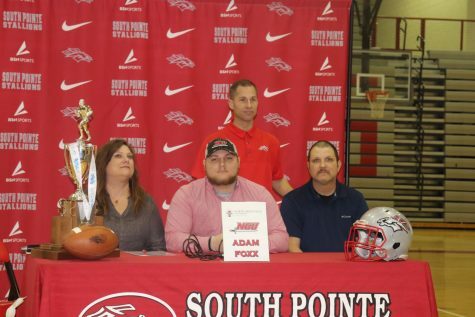 Adam Foxx signs to North Greenville University to play football. 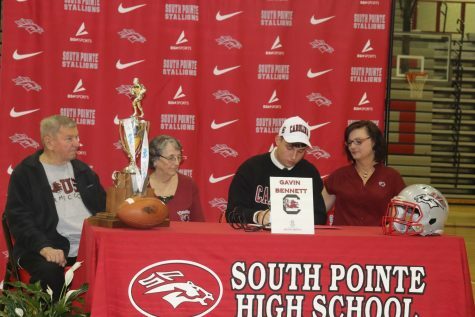 Gavin Bennett signs to be a preferred walk-on at the University of South Carolina, majoring in engineering. 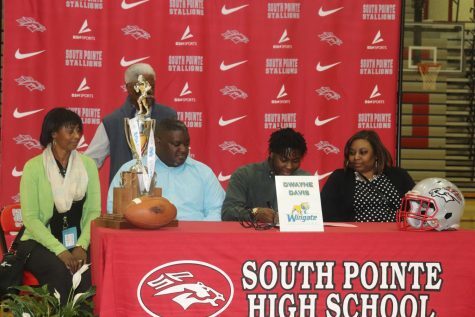 Dwayne Davis signs to play football at Wingate University. 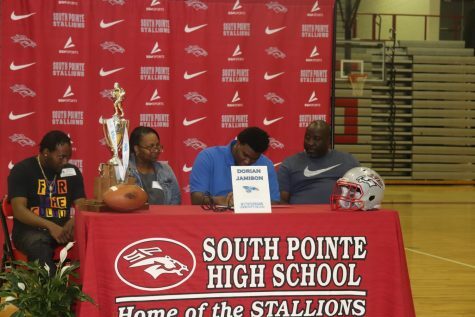 Dorian Jamison signs to Hutchinson Community College to play football for two years, and eventually move on to a four-year university after. 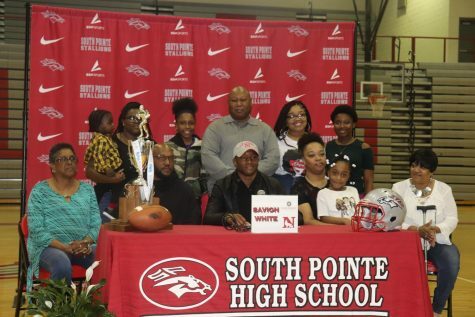 Savion White signs to play football at Newberry College. 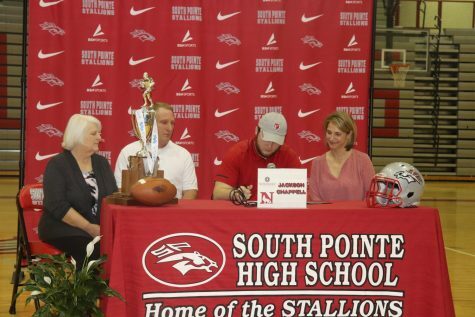 Jackson Chappell signs to Newberry College to play football. 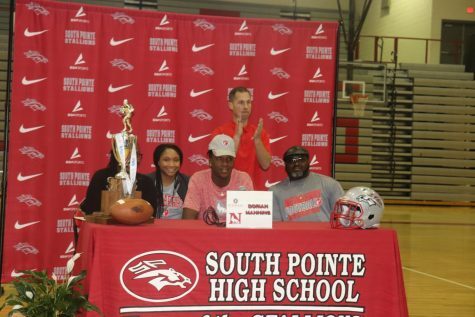 Dorian Manning signs to play football at Newberry College. 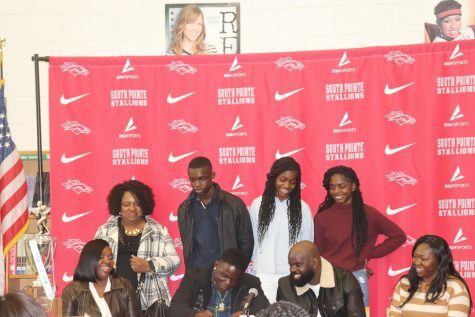 Many parents, students, teachers, and coaches came to college signing day to support our fellow football players.